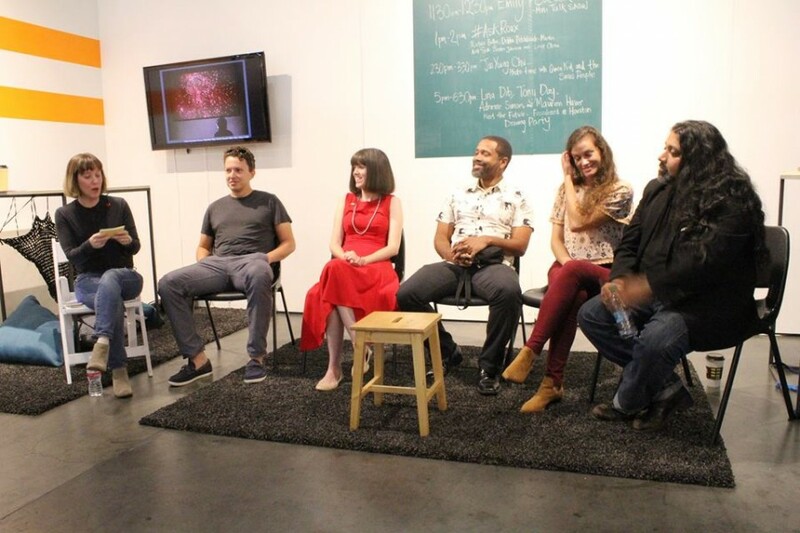 During the 2016 TX Contemporary Art Fair, DiverseWorks hosted a Tiny Art Salon out of their booth. They presented various artist-directed events throughout the fair. I was happy to participate in it through Emily Peacock’s Mini Talk Show. In talk show format (including cheesy 70’s walk-in music), Peacock called out one panelist at a time. She interviewed us individually, and then we debated a host of issues related to photography and other lens-based media. The panel included my husband Prince Thomas, as well as Jean Sebastien Boncy, Teresa Munisteri, and Drew Bacon. Thanks to Emily, Jennifer Gardner and DiverseWorks for creating such entertaining programming in conjunction with the TX Contemporary!